There is so much going on in Dundee! Please check out these other companies for ideas on places to stay and things to do in Dundee. Lead by local Dundee photographers, these tours will take you past iconic buildings, statues and hidden art, giving you the opportunity to develop your photography skills in our beautiful city. These luxury serviced apartments in the heart of the city are perfect if you are staying for one night or for an extended time. Ina great location, they are a home away from home. Luxury 5-start self-catering apartments in a beautiful 'B' listed arts and crafts house, just 5 miles from Dundee in the village of Newport. If you are staying here, we would reccommend checking out our Wormit Trail Run, which can start right from your accommodation. Hotel Indigo Dundee is built in a renovated textile mill, showcasing the architecture beuatifully. Rooms have bespoke fabrics and antique furnishings. Daisy Tasker bar and restaurant is also a great place to go for lunch, dinner, or a casual drink. Looking for running tours elsewhere? 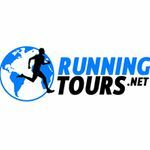 A website dedicated to running tours worldwide. Wherever you're going in the world, check out Runningtours.net to see if there's a tour near you.